You are there for the awesome, magnificent breathtaking views of the mountains, the river, the Baru Volcano, the quite small village, etc. The idea is to be in perfect harmony with nature. These gorgeous flats are spacious, bright, airy and about 1200+ square feet built on a 3000 square feet. Master bedrooms have a large/cozy private bathroom with a Jacuzzi-style bathtub, perfect for a nice warm bath any time. AMENITIES: Daily stay: Free Wi-Fi/High-Speed Internet provided by Internet Activo, hot/cool water to shower or to bathe, electricity, gas for cooking, linens, free parking inside the property. Garbage gets collected every Wednesday morning and the price is $1.00 for each large plastic bag. Tenants are responsible for getting their trash collected on time. ACCESSABILITY: There is an urban bus which picks up and drops in front of our residence. The fare is only $.50 to take you to around town and to Midtown. It comes about every 30 minutes from 6:30 a.m. until about 6:30 p.m. There are also taxis which charge $1.50 for a ride. Just give them a call and they will be there in about five minutes. A short 25 minute walk to Midtown where there are several large supermarkets with fresh vegetables, meat, wine, imported cheeses/beer, etc. They carry almost everything you can find in the USA, Canada, Europe, etc. There are also several hardware stores, financial institutions, Internet cafes, medical centers, etc. WEATHER: It is perfect perpetual spring down in Volcan. Never too cold and never too hot. Just about 72F 365 days a year. It’s cool, so there is no need of air conditioner or fans because is usually breezy and very pleasant. PHYSCIAL ACTIVITIES: jogging, cycling, swimming, hiking, mountain climbing, natural hot springs bathing, etc. La Barqueta is one of the most beautiful touristic beaches in David City; just about 45 minute drive from our residence. There are five star hotels and excellent high-class authentic and international restaurants. SPECIAL DEALS: Stay ten consecutive nights and get two free nights. Finding a bargain like this one in Volcán is very difficult. You are welcome to try to find one and if you do we will try to match our prices to their prices. It has to be the same size and all furnished with a backyard, a fenced parking for at least three vehicles, etc. This is a family own property. We chose Volcan for our real estate business for several reasons; the best one is the climate. It's perfect perpetual spring, never too hot, never too cold. Another reason is the affordability. Volcan is still one of the best places to invest. Our property is very affordable, comfortable, and secure. We use for vacation and when for rent whenever is available. The breathtaking views front the balconies are magnificent. There is a spacious backyard which is perfect for growing your own organic veggies, flowers, plants, etc. There is plenty of parking in the open patio protected by an iron fence. We loved it here! Comfortable and Peaceful! We stayed here for a week and we totally loved it. It was a large house to stay in and clean, and renovated, and had everything you needed to be comfortable. We would definitely like to come back because we had a very peaceful and lovely time here. 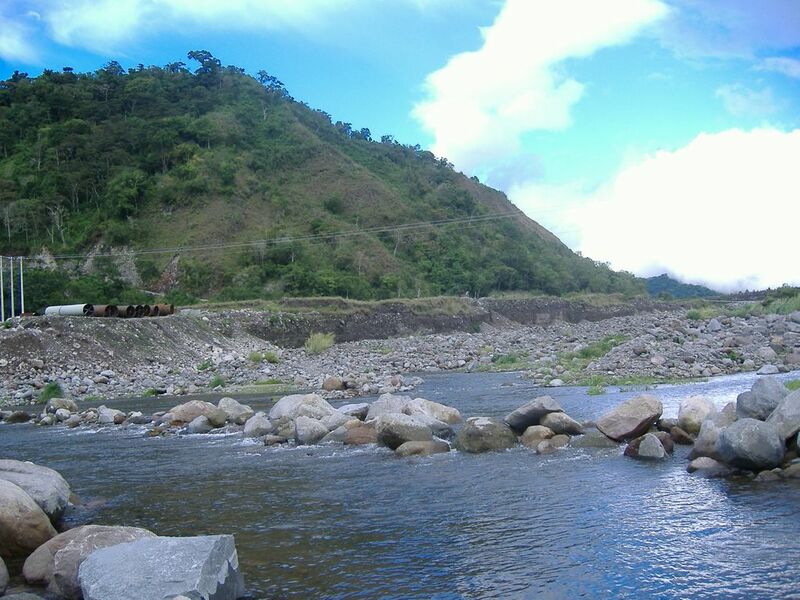 Volcan is very beautiful with rolling hills and lush landscape. The house has a view of the river and of the mountain in the distance. This is a great place to stay! And Heidi, the owner was very helpful with suggestions and made sure we were happy. I would advise renting a car, so you can drive to all the beautiful places close by such as boquete and the natural hot springs near by. We will definitely be back! to have them back soon. We had a great time at this rental condo. The host was super friendly and did everything to make us stay as comfortable as possible. This beautiful rental place has gorgeous breathtaking views of the Chiriquí River, the mountains, the Baru Volcano, the quiet rural village, etc. The three bedrooms are very cozy and comfortable. This condo is amazingly nice and only one family stays, so there is no sharing with strangers. You can have 100% privacy in your own place. It is worth the price. It’s completely furnished with dishes, linens, coffee maker, etc. We will definitely come back and will for sure highly recommend this condo rental to anyone who wants to enjoy nature and stay at a very nice, affordable, charming, and great place. We had a wonderful time at this rental condo. Private vehicles are highly recommended to enjoy nature at its best. Inexpensive taxis are just one call away. Make sure you bring swimming suits to have fun in the river which is just five minute walk. The natural hot springs and cool streams are just about 40 minute drive from the residence where healthy warm bathing is available at no charge.Bring a picnic and have a wonderful day.